Black Friday is quickly approaching, and, as you may know, it’s one of our favorite times of the year. 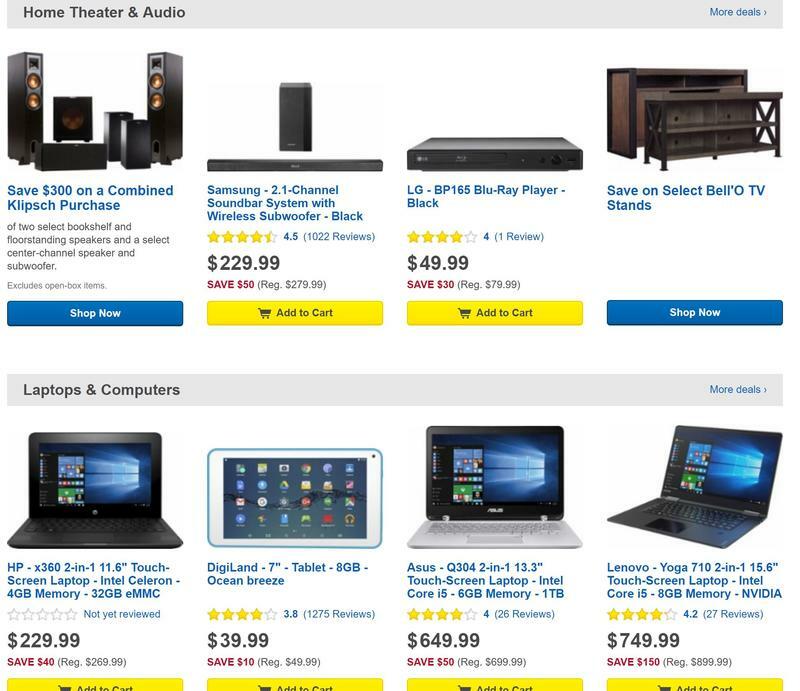 You can save big on electronics as manufacturers and retailers try to boost sales moving into the holiday season. 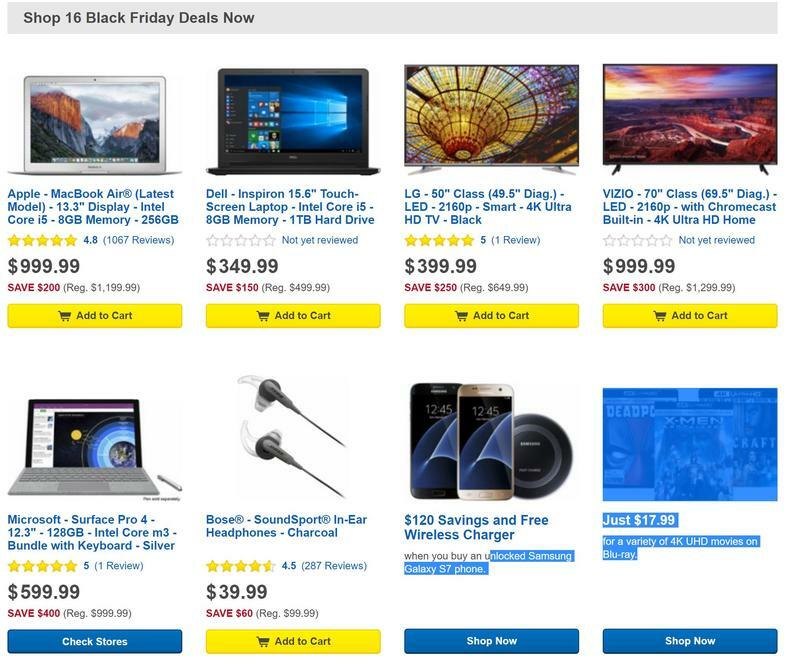 We already know what Sam’s Club’s Black Friday deals are, now Best Buy is showing its cards. It’s knocking a chunk off of laptops, TVs, smartphones and more. The 13-inch MacBook Air with a Core i5 processor is priced at $999, for example. 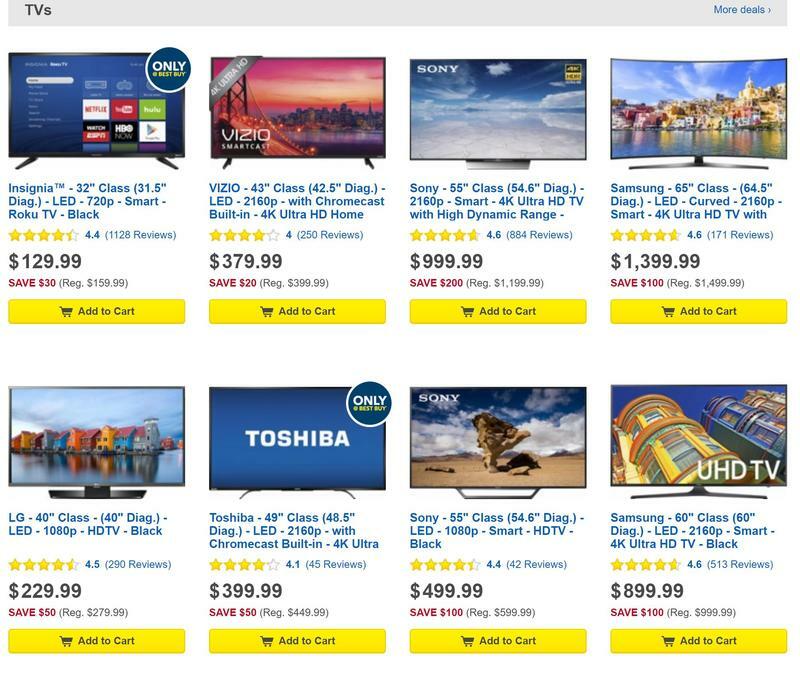 You can get a 50-inch 4K LG Smart TV for just $399, or a 70-inch Vizio and create your own home theater for just $999. Best Buy even has a deal on the unlocked Galaxy S7, which is pretty rare, offering a free wireless charger and $120 off of the standard retail price. There’s also a deal on the Surface Pro 4 that knocks $400 off of a bundle with the Type Cover keyboard. 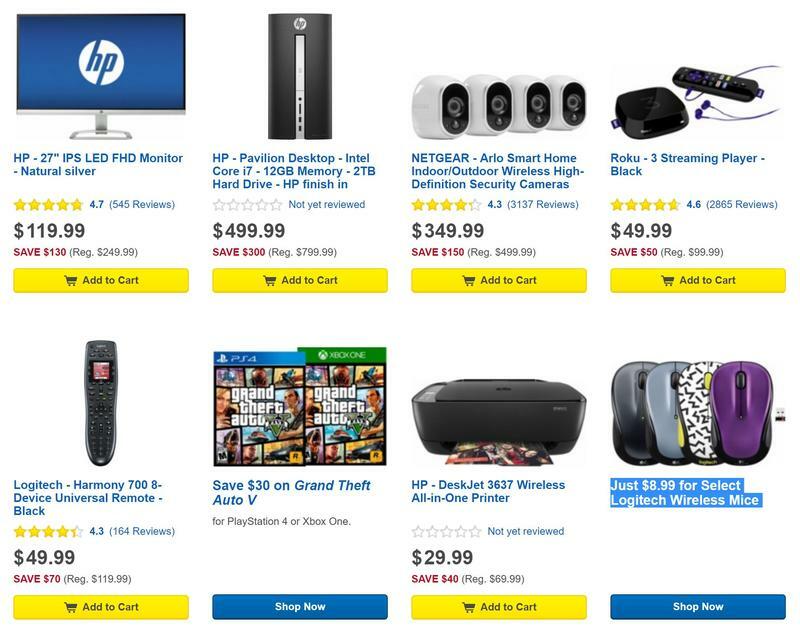 This is just a sampling of what Best Buy has — there are 16 deals you can take advantage of now — but you can flip through the gallery above for a closer look. 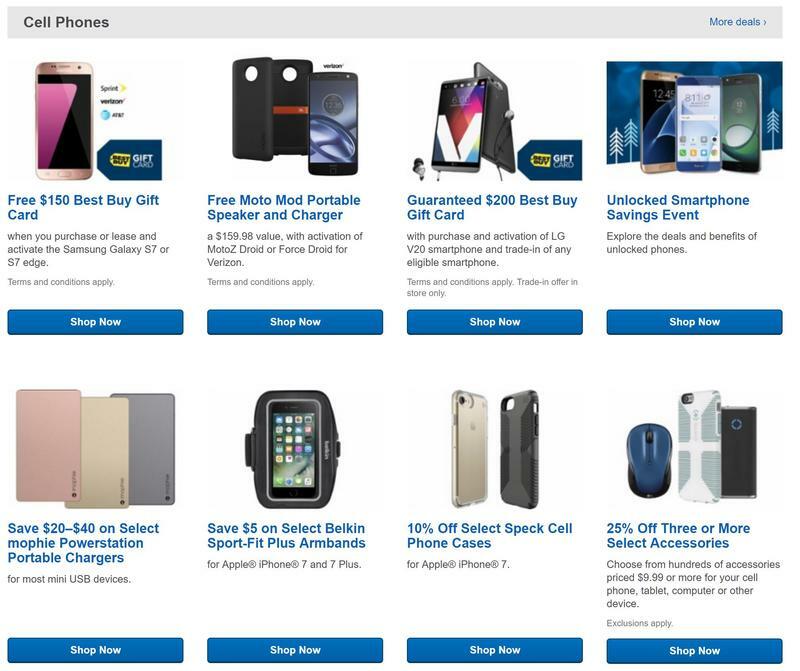 Best Buy will open at 5 p.m. local time on Thanksgiving, will close at 1 a.m. and then will re-open at 8 a.m. on Black Friday.